The Inter-American Telecommunications Commission (CITEL), through their Permanent Consultative Committee 1 (PCC.1) is meeting this week in Washington, USA, in the headquarters of the Organization of the American States (OAS) to work with regulation and development of the telecommunications, to coordinate strategic initiatives of OAS related to telecommunications and stablishes positions for the next ITU´s Plenipotentiary Conference (PP-18). 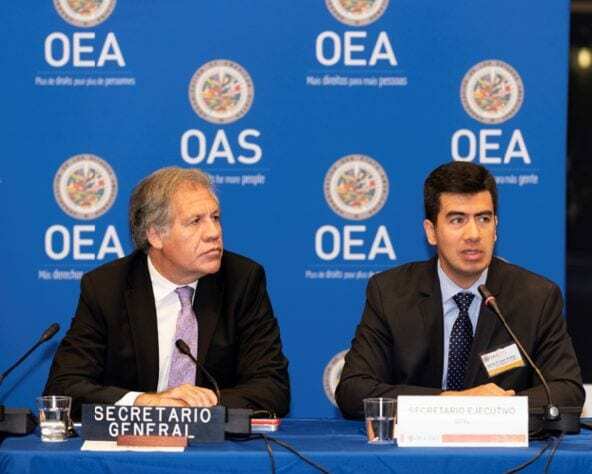 In the opening section, Luis Almagro, General Secretary of OAS, identified the approval of the revision of IARP (International Amateur Radio Permit) as one of the positive outputs from the General Assembly of OAS occurred this year, highlighting the signatures of the Dominican Republic and Argentina representatives. Mr. Almagro also stimulates more countries to adopt and implement the protocol. 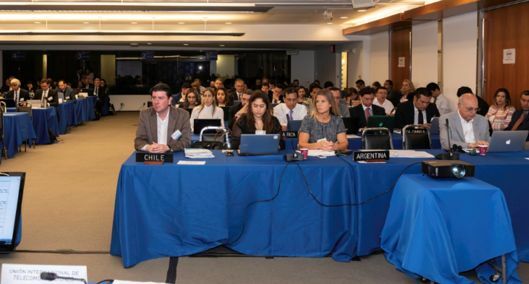 Oscar Leon, Executive Secretary of CITEL, also expressed the importance to sign the revision through OAS and promote the national ratification according the local rulemaking process. 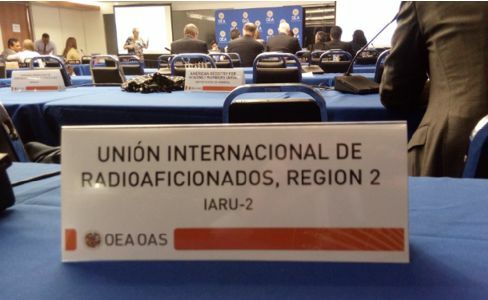 Bruno Ramos, the International Telecommunications Union (ITU) Regional Director to the Americas, also cited the project in course coordinated by ITU of an alternative emergency communication network involving amateur radio, especially in the Caribbean region, fulfilling the OAS strategic objectives. The IARU is represented in this meeting by Flávio Archangelo, PY2ZX, Coordinator of IARU-R2 for CITEL. Photos: 1 – Opening section of CITEL/CCP.1 Meeting. 2 – OAS General Secretary, Luis Almagro (left) and CITEL Executive Secretary, Oscar Leon, in the opening section. 3 – OAS Senior Legal Officer in the department of International Law of OAS, Luis Toro (left) and IARU Region 2 Coordinator for CITEL, Flávio Archangelo (right), with the official IARP document. 4 – IARU identification in the meeting. Credits: OAS (1 and 2), IARU (3 and 4).